We clean our homes everyday using our favorite cleaners, and our favorite cleaning methods. If we have a family member with an allergy we do not use cleaning supplies containing that chemical. 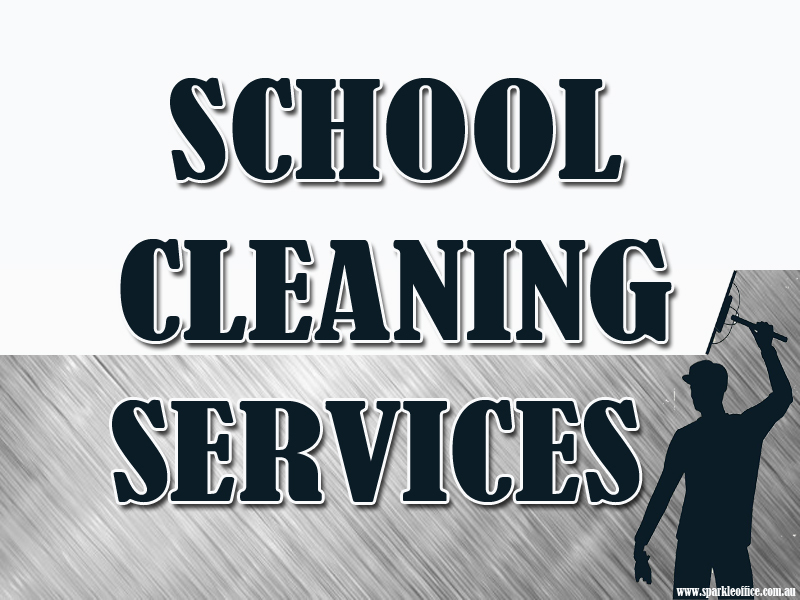 School Cleaning Service is different because there are hundreds of children, plus teachers, and support staff, in the building and the school cleaning crew is generally not aware of every one of the allergies that might plague these people. That is why school cleaning requires you to use as many natural products as possible. School Cleaning Service consists of cleaning the classrooms by emptying the waste paper baskets, wiping the desks, and other surfaces down to kill germs, and cleaning the floors using the appropriate supplies. It also includes cleaning the restrooms in the building, the windows in the building, and keeping the hallways clean and presentable. Many times the cleaning duties include removing gum from beneath desk tops, and removing graffiti from bathroom walls, and other locations around the campus. Windows and smooth surfaces can be cleaned with white distilled vinegar and water. You can use plain vinegar if you would like, but you will find that mixing the vinegar and water in a 2 to 1 ratio, with 2 parts water to 1 part vinegar, will allow you to have the power of the vinegar with a reduce odor. You can mop the floors using a half and half mixture of vinegar and water. Vinegar is a powerful cleaner and it is a strong disinfectant as well. Vinegar will kill the germs and leave the area smelling fresh and clean. Prolonged exposure to harsh School Cleaning Service chemicals can result in serious illness such as cancer and reproductive problems. Environmental friendly products help everyone from the custodian to the families at home. Today’s school buildings can not only look clean, they can be safer for everyone who lives and breathes within their walls. A great general purpose item for School Cleaning made Bio Green Clean. Available in concentrated liquid form, this natural cleaner is 100% plant derived and promises to be fully hypoallergenic. One gallon of Bio Green Clean makes 4-10 gallons of cleaner. It is known for being nontoxic and biodegradable. Originally formulated for use in aquariums and greenhouses, it has proven its worth for general cleaning where mold and algae prevention are priorities and deep cleaning is a must. Clean floors are very important in schools. They can be hard to maintain with all the shoes that cross their busy surfaces each day. A product such as Earth Friendly Products’ Floor Keener will get the job done well without introducing any irritants to the building. It removes dirt, grease and scuffs marks, and does not require rinsing to leave behind a dirt-free, polished surface. It is a necessary task in making an office or any other commercial or business establishment presentable. A window that is dirty and full of streaks and grime will be a big turn off for clients who will enter an office area. By hiring The Office Cleaning Services Melbourne provider, you will have a well-maintained office without the fuzz of cleaning. You will also enjoy a clean office because the cleaners are already experts and experienced as well. And also, you will not be required to purchase cleaning tools because the cleaners already have them including those latest equipments available in the market. School Cleaning Techniques come in different forms. Cleaning the inside and outside windows will require different methods. The outside area of a window is dirtier and even when it is already cleaned, it will still be prone to dust and debris. Office Cleaning In Melbourne is provide solutions just soap in liquid form. The trend now is for environmentally friendly cleaning materials so it is now easy to find window cleaning solutions that do not contain ammonia, alkali, or solvents. Click This Link for more information on Best Commercial Cleaners Melbourne.